Office Location: Galway, Ireland. Employees can also work full time from this office. This is a unique opportunity to join a high growth startup in a niche but expanding technology space. Our vision is to leverage technology to build solutions that help improve the fitness and wellness of people globally. To do this we are providing business owners with the tools required to grow and succeed. We are looking to add a Senior Frontend Devloper to join our highly motivated team with a fantastic product crafted with a cutting edge tech stack, and a huge opportunity to realise. We’re looking a key person who will round out our core engineering team. It’s an opportunity not to be missed if you’re looking to join a scaling startup and you’re willing to work hard to solve some complex problems for a very large market. We want someone who is passionate, determined and excited about joining us on this journey. If you are looking to join a nimble team that enables you to make a high impact then come join us for the ride. We’re on a journey towards a microservices architecture to help us scale faster. On the frontend side we're looking to make the transition from Angular to React. This is our technical stack that we have chosen for the moment and we think it rocks. Have 5+ years experience developing commercial software in teams. 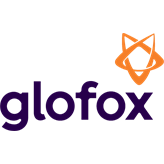 Glofox is an exciting, fast paced SaaS company, servicing gym and fitness studio owners across more than 25 countries. We have a mission of becoming the backbone of the fitness industry by providing innovative software that saves time, increases retention and ultimately, helps studio and gym owners become more successful. In terms of our vision, we are aiming to be the backbone of the fitness industry, enabling fitness entrepreneurs improve the health of people worldwide. It's a really exciting time for us as we scale our business so it's going to be a great journey - we're fully funded by some of Europe's top VCs read more here. We’re a highly motivated team with a fantastic product crafted with a cutting edge tech stack, and a huge opportunity to realise. We’re looking for a number of people who will round out our core engineering team. If you’re looking to join a scaling startup and willing to work hard to solve complex problems for a very large market – this is an opportunity not to be missed.